Halloween Time at the Disneyland Resort returns this month with happy hauntings at both Disneyland and Disney California Adventure parks. One of those spirited special events is Mickey’s Halloween Party, which takes place on select nights from September 20 to October 31 in Disneyland park. Guests attending this event can search for treats, meet Disney characters decked out in Halloween costumes, and see the spectacular “Halloween Screams” fireworks. I recently spoke with Cathy Dawson, merchandise product developer with Disney Parks Merchandise, who gave me a preview of the colorful commemorative products she created for this event. 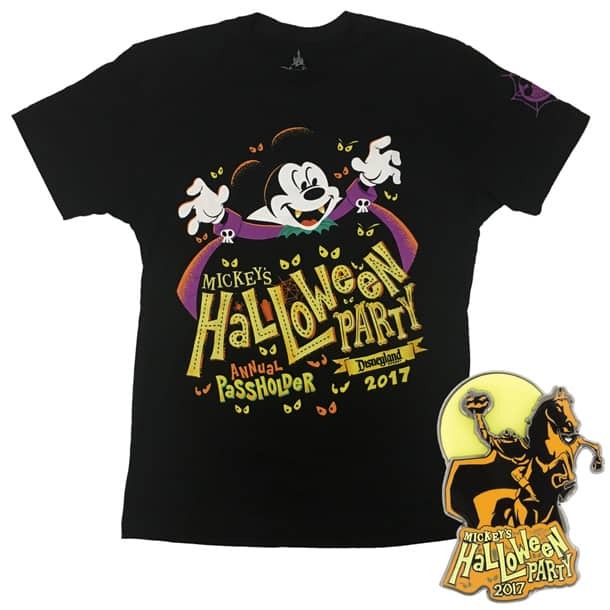 Annual Passholders attending the event will find a logo t-shirt with Mickey Mouse, and a limited edition pin featuring the Headless Horseman (edition size 5,000). For guests who enjoy collecting Disney pins, we are releasing a limited edition box set with images of classic Disney Villains. This set will have an edition size of 1,000. 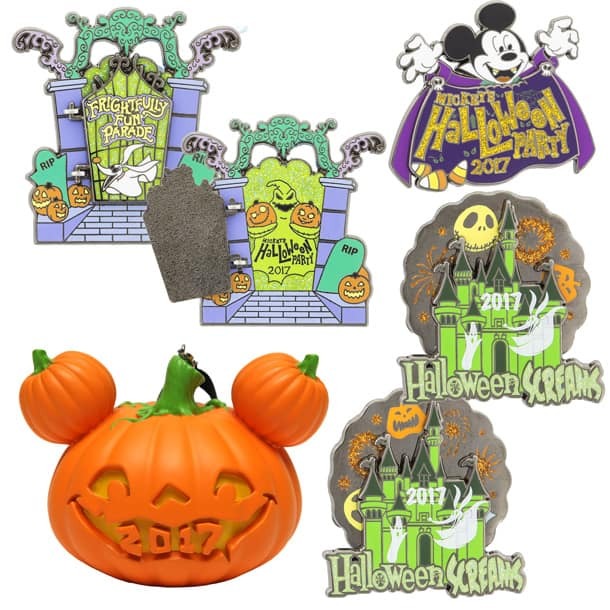 Other pins will include a limited release logo pin, a limited edition “Halloween Screams” pin that spins, and a limited edition pin inspired by the “Frightfully Fun Parade.” The latter pin includes images of Zero and Oogie Boogie from “Tim Burton’s The Nightmare Before Christmas.” Both limited edition pins will have edition sizes of 4,000 each. One final item is a light-up pumpkin ornament that includes the event logo. 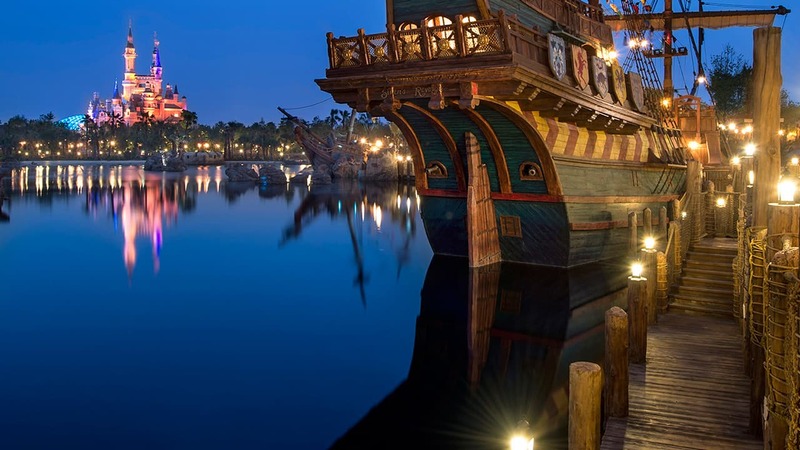 The best locations to find these items during the event is Emporium on Main Street, U.S.A., Pioneer Mercantile in Frontierland, and Pieces of Eight in New Orleans Square. 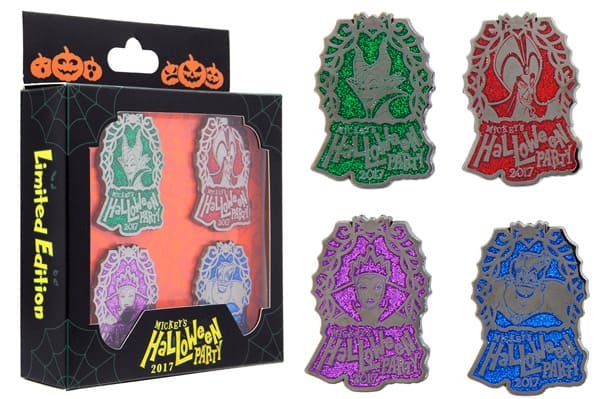 Select pins will also be offered in pin trading locations such as 20th Century Music on Main Street, U.S.A., Westward Ho Trading Company in Frontierland, or Little Green Men Store Command in Tomorrowland. Annual Passholders should visit Disneyana on Main Street, U.S.A., or Tomorrowland Starcade to find apparel and pins. For Mickey’s Halloween Party 2017 ticket details, pricing and party dates, please visit Disneyland.com. Will there be a Trader Sams Halloween Tiki mug this year? If so when will it be available? Will these only be offered at the party? Hi- Do you know if there will be a follow up article to Epcot 35th Anniversary Merchandise? I love all of these. 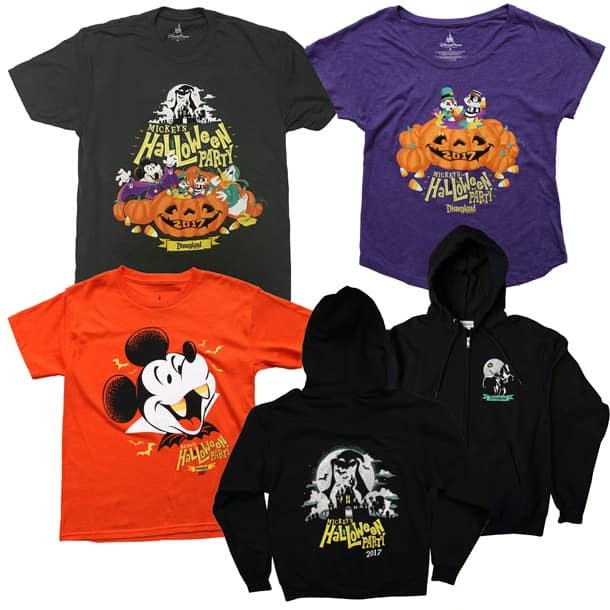 Whenever I visit for Halloween I always try and get at least one tshirt, pin and also any plush characters in their outfits. Love, love, love Halloween. Keep up the fantastic work. The “Vampire Mickey” with candy corn fangs is too cute!